Six Sigma is a management philosophy, first developed at Motorola, which emphasizes setting extremely high objectives, collecting data, and analyzing results as a way to reduce defects in products and services. The Greek letter sigma is used here to denote variation from a standard. The philosophy behind Six Sigma is to systematically eliminate defects in a process in order to get as close to perfection as possible. In order for a company to achieve Six Sigma, it cannot produce more than 3.4 defects per million opportunities. (Source: Definition of “six sigma” copyrighted and used with permission of whatis.com (http://www.whatis.com) and TechTarget Inc.). 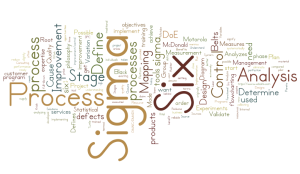 Six Sigma DMAIC is a process that Defines, Measures, Analyzes, Improves, and Controls existing processes that fall below the Six Sigma specification. 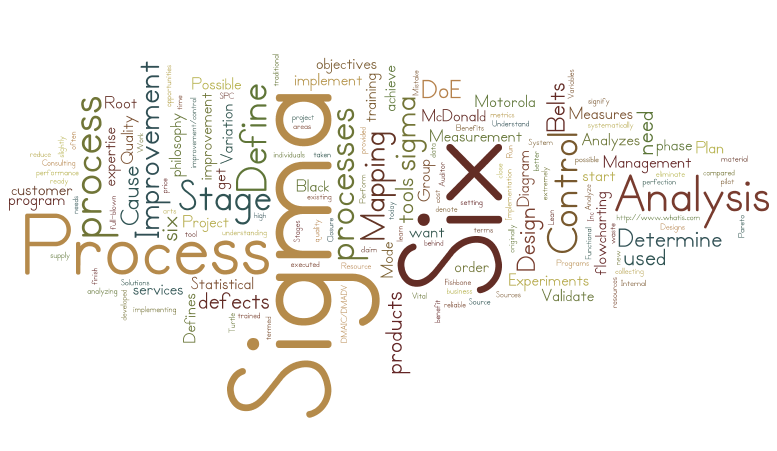 The Six Sigma DMADV (Design for Six Sigma – DFSS) process is slightly different, in that it Defines, Measures, Analyzes, Designs, and Verifies new processes or products that are trying to achieve Six Sigma quality. All Six Sigma processes are executed by individuals who are trained in process improvement tools, often termed Six Sigma Green Belts or Six Sigma Black Belts, and Six Sigma Master Black Belts. These terms are taken from martial arts to signify the individual’s level of expertise, and were originally used by Motorola. more reliable products and services. But what if I don’t want to / have resources / need to implement a full Six Sigma program? We have found that many clients want the benefit of six sigma tools without implementing a full-blown program; and so we have provided a cross-reference table below to help you find the perfect course / tool for you – at the stage you’re in. No time or expertise to implement six sigma from start to finish? The McDonald Consulting Group can supply training for each phase of the DMAIC/DMADV process – when you need it, only what you need, and at a very affordable price compared with traditional Six Sigma Programs! Contact The McDonald Group today to learn more about Lean or schedule a training or implementation.